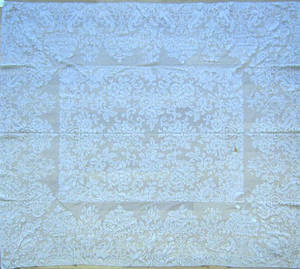 Lace tablecloth, 83" x 72". 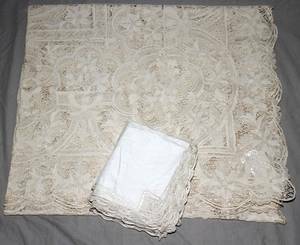 Lace tablecloth together with another tablecloth. 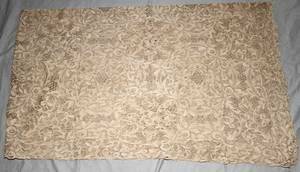 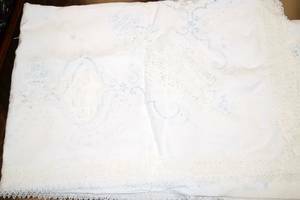 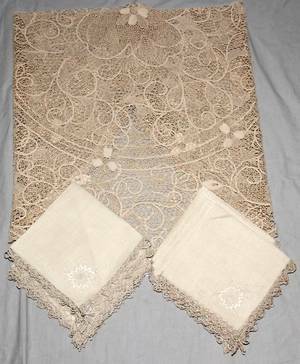 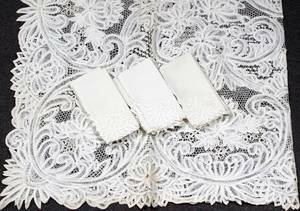 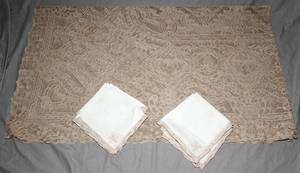 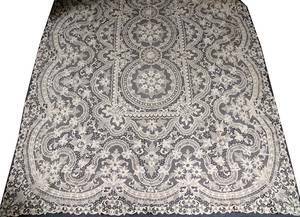 021511: LACE TABLECLOTH, 102" X 64"
113764: ECRU LACE TABLECLOTH, 136"x80"